5.1 Can I practice dancing with varicose veins? 5.2 Can I do exercises for varicose veins? 5.3 Can I go for varicose veins? 5.4 Is it possible to practice on a stationary bike with varicose veins? 5.5 Can I do yoga, pilates and stretching for varicose veins? 5.6 Can I make a bar for varicose veins? 5.7 Can I jump with varicose veins? 5.8 Can I turn the hoop with varicose veins? Varicose veins (varicose veins) usually occur due to weakened valves or high blood pressure. Also, the disease is often the result of prolonged sitting or standing.May affect anyone, but more often is determined in women. In athletes, bulging, sensitive veins can cause not only pain and discomfort in the legs, but also become an obstacle to the exercises, further reducing the level of endurance. Various sports in their own way affect the condition of an athlete who has varicose veins. Each case is individual, but still there are general recommendations that are based on an assessment of the condition of people with varicose veins and additionally involved in sports. They should not be ignored, since serious complications can arise. Video: Do ​​you play sports if you have varicose veins? Varicose veins occur for a great variety of reasons, including age, obesity, prolonged standing or sitting, hereditary predisposition, pregnancy and hormonal changes in the body. The mechanism of development of the pathological condition is due to the fact that one or several veins do not work properly - they do not move blood in the direction from the legs to the heart, as is normal. As a result, the blood can stagnate, dilating blood vessels and causing swelling, or flow back, then they talk about reflux. The appearance of a venous bunch on the legs is associated with an increase in pressure in the venous circulatory system. In such a situation, the blood needs to go somewhere, so under pressure it begins to be forced out through small vessels into the surrounding tissues. Also, the excessive expansion of the lateral branches of the veins contributes to their exit to the surface of the skin, where they begin to bulge. Then they become noticeable on the skin, because they look like large, dilated, tortuous vessels. However, one of the problems with varicose veins is that the patient cannot always see the changes that have occurred on the skin. In the early stages of the development of the disease, there are no expressed subjective sensations, therefore, a person often continues to harm his body. Varicose veins, as a rule, progresses, therefore with time in most cases the patient's condition worsens. Without treatment, the well-being does not improve on its own and the symptoms of the disease do not go away on their own, therefore, as a result, serious health problems such as chronic edema, trophic ulcers and even thrombus formation may arise. If you have to experience any of the above symptoms, you must immediately undergo treatment prescribed by a doctor. Previously, a cruel, traumatic and painful treatment of varicose veins was performed. We had to go to the hospital, where surgery was performed under general anesthesia. After the procedure, a few more weeks had to follow certain medical recommendations. Today there are minimally invasive outpatient methods of exposure, allowing the treatment of varicose veins with the least discomfort for the patient. In particular, a local anesthetic is used, a specially designed laser for sealing the abnormal, reflux vein and redirecting blood through healthier vessels. As a result, normal blood circulation is restored.This is certainly one of the most convenient procedures to quickly get rid of the symptoms. Also, after such treatment, there is no need for a long recovery process. Any expanded superficial veins can gradually self-reform, in extreme cases they are eliminated with the help of sclerotherapy or micro-sectional surgery. Both methods are minimally invasive, outpatient procedures performed in many clinics in a short time. Since varicose veins are associated with significant problems and can lead to long-term complications, treatment (conservative or surgical) is medically necessary. As Arnold Palmer once said: “The road to success is always built,” so you should not let the symptoms of varicose veins interfere with sports training or any other part of life. Sports activities, professional or amateur, are not always recommended for varicose veins. There are certain types of physical activity that can improve the condition of patients with varicose veins. At the time, other sports activities may contribute to the progression of the disease. Athletes who are most vulnerable to varicose veins often participate in various sports. In this case, the main load in such cases falls on the legs, which help to withstand different loads for long periods of time. Such sports are weightlifting, mountaineering and skiing. Running, cycling or other repetitive movements also increase the strength of the adverse effects in the legs and veins. Weightlifting. Excessive stress can damage or complicate previously damaged vein valves. Running Long runs often lead to the fact that blood will be collected in the lower extremities, and this in turn increases the load on the veins. Cycling Prolonged sitting can, like running, cause lowering and accumulation of blood in the legs, which eventually leads to the expansion of veins. Tennis. Relatively frequent, although weak, strikes to the legs with a tennis ball can damage the venous valves. Football, rugby, handball . Extreme ball strikes, as well as long running exercises, can easily damage the valves of the veins or worsen the condition of existing varicose vessels. In general, all sports associated with frequent physical contact in the area of ​​the legs have the highest risk of developing varicose veins. Painful, sensitive or heavy legs. Poor swelling in the ankles or near the feet. Pulsing or cramps in the legs. The appearance of even one symptom of the above should be alerted and become a reason for treatment to the attending physician. This is the most recommended exercise for people with varicose veins. Walking has a massaging effect on the sole of the foot, which stimulates blood circulation. Daily walk in the fresh air under favorable weather conditions can significantly improve the overall condition and strengthen the cardiovascular system. Aqua aerobics is one of the most favorable sports activities, which is especially recommended for varicose veins or susceptibility to this disease. Swimming stimulates blood circulation in the calf muscles, which is necessary for the normal operation of the venous system of the lower extremities. Additionally, water has a hydrotherapeutic stimulating effect, which also contributes to the normal circulation of blood in the legs. The only thing is not to aim at sports, because in such cases it is possible to overstrain the muscles of the lower limbs. Short-term golf games can help improve circulation in the legs. If the varicose veins are in the progression stage, then it is not worth once again to strain the already overloaded venous vessels. Above have been named some sports activities that can lead to the defeat of the venous vessels and their valves. Most often, such sports are associated with increased, albeit short-term, load exerted on the legs. Also, the adverse effect on the vessels is associated with prolonged efforts affecting the muscles of the legs. These sports are directly related to sudden, unexpected movements that negatively affect the state of the venous system of the legs. Also during these sports activities, jumps are often performed, which, if susceptible to varicose veins, are capable of provoking the development of this disease. Increased intra-abdominal pressure can damage the valves of the venous vessels. Also during skiing, the lower part of the legs for a long time is tightly clamped in special shoes, which disrupts blood circulation. All these factors are predisposing to the development of varicose veins. They have a particularly negative effect on the veins of the legs, as in some cases even lead to their rupture. Sometimes training and exercises are accompanied by the use of various additional devices in the form of ropes, solid objects, the impact of which is not always able to withstand healthy veins, not to mention varicose veins. Like cycling, when riding, the vessels of the lower limbs in the pelvic region are pinched. Also, the leg muscles are in too tight a position, especially in the lower leg area. This hampers blood circulation, weakens the venous valves, and during long workouts contributes to the development of varicose veins. Riding a motorcycle is not suitable for those who have varicose veins. The reasons are the same as in the case of horse riding. Like equestrian and motor sports, when practicing canoe, one has to spend a long time in one fixed position. The lack of leg movements is extremely unfavorable for the condition of varicose veins. There are recommendations that help prevent the development of varicose veins, while continuing to perform sports training. In particular, you can follow the following three simple tips. No need to hold your breath . When lifting weights, most people experience reflex breathing. At the same time, arterial pressure rises and this puts additional strain on the veins, which is highly undesirable in the presence of a tendency to varicose veins. Therefore, it is recommended that each time you lift something heavy, first exhale, then raise, but you should inhale when lowering. When a person breathes properly, abdominal movements help the blood flow in the body.This in turn reduces the pressure in the venous system. Practicing this simple trick will reduce the chances of varicose veins during exercise. Wearing compression stockings . The use of special compression stockings in the gym or while running can help strengthen the veins and, therefore, prevent varicose veins. If there is no desire to be limited to the choice of exercises, wearing compression stockings makes it possible not to follow the above recommendation so strictly. For the correct choice of compression stockings, suitable for varicose veins, you can use the currently available manuals. It is necessary to strengthen the veins with the right supplements . If it fails to follow the first recommendation or if the condition of the veins continues to deteriorate after all the precautions taken, this recommendation may help. Some herbs and vitamins have been proven to strengthen the veins, therefore they are suitable for patients with varicose veins and venous insufficiency. In particular, supplements with pine bark, biosflavonoid diosmin, grape seeds are useful. Can I practice dancing with varicose veins? There are different types of dances and not all of them allow improving the condition of patients with varicose veins. Still, dancing can help control muscles and create balance, flexibility and strength in the legs. Zumba or tango, of course, can increase oxygenation throughout the body. Dancing is very useful for blood circulation in general. The general recommendation for dancing is to conduct classes at a low pace. You should avoid such dances as zumba with high intensity, because they are associated with strenuous movements and jumps, which can cause additional damage to the veins of the lower extremities. For varicose veins, it is allowed to practice ballroom, oriental, Latin American dances of the type of salsa and bachata. It is undesirable to practice ballroom and Irish sports. Can I do exercises for varicose veins? If there are varicose veins or venous insufficiency, exercise may cause soreness or discomfort. In fact, some exercises can worsen the course of the disease and even lead to complications. However, completely abandon training is not an option. If you want to stay healthy and have strong beautiful legs, you need to follow some recommendations. Leg exercises should be performed at or above heart level . Varicose veins develop in cases where the walls of the veins cannot withstand the pressure caused by gravity. Some exercises, such as lifting weights or rocking legs, can increase this pressure, so there is a chance that new varicose veins will develop. The question of whether it is possible to do exercises for varicose veins is to choose exercises that promote the location of the legs at a suitable level. Recommended exercises for varicose veins - foot press with an emphasis on the elbows, which eases the load on the veins. Also, when varicose veins are useful exercises such as a bike with your legs in a supine position, raising your legs in a supine position or lifting on tiptoes in a standing position. With their help, calf muscles can be strengthened. Can I go for varicose veins? Reduces the risk of falling and injury. Improves the sharpness of thinking. Reduces pain in arthritis, fibromyalgia and other diseases. There are many more advantages with minimal drawbacks in walking more often. For example, walking is especially good for people suffering from varicose veins, because it is an ineffective workout. When walking, there are no kicks or knocks. A simple movement helps to strengthen the calf muscles without straining the whole body. Thus, strengthening the muscles of the leg can improve blood circulation, which is useful for varicose veins. Before the start of classes, a distance must be chosen for walking, taking into account the age and condition of the affected veins. Older people and in the presence of cardiovascular diseases especially recommended Scandinavian walking, which consists in the use of ski poles and comfortable shoes. You can start from 30 minutes five days a week and gradually increase to an hour and a half a day. Video: What is the use of walking with varicose veins (varicose veins) of the lower extremities? Is it possible to practice on a stationary bike with varicose veins? Some exercise machines, such as a treadmill and exercise bike, are contraindicated for varicose veins. Other types of exercise, such as an ellipse or stepper, can be used with the consent of the doctor. It is believed that these simulators have a low return, therefore they help to strengthen the calf muscles, which in turn promotes blood circulation in the lower extremities. Also, when exercising on a simulator of this type, the load on the rest of the body is not strong. 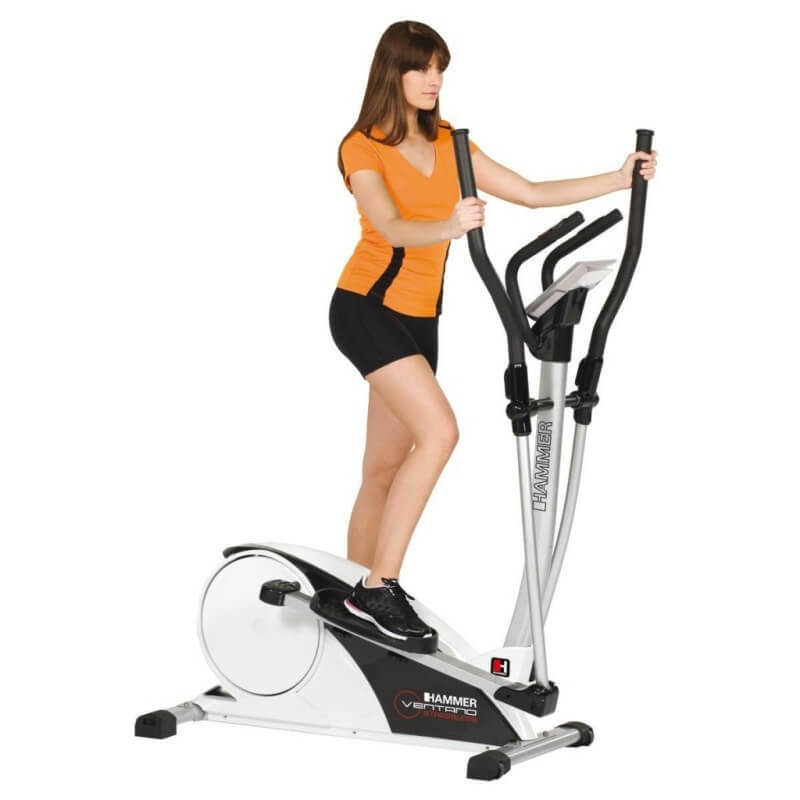 Most often adhere to the following mode of training on an elliptical simulator or stepper: six days a week for one hour with good resistance. To control the situation with varicose veins, even with continued training on simulators, allows monitoring of the state of varicose veins, the appearance of new veins and their well-being during exercise. In addition, it is useful to maintain weight in the normal range and eat properly, then you can feel quite normal. Can I do yoga, pilates and stretching for varicose veins? Stretching, Pilates and yoga classes can help relieve swelling and tenderness in the legs with varicose veins. With their help, physical fitness and body flexibility are well maintained. It should be remembered that yoga can help in the treatment of varicose veins, but one should not expect that it will prevent or completely eliminate the problem. For the most part, the yoga postures most beneficial to the venous vessels are those associated with lifting the legs. Pose of the mountain, or vertical posture (Tadasana) - simple to perform, but quite effective in terms of strengthening the venous vessels. Helps to strengthen the knees and hips. It helps relieve tension in the legs and arms, which otherwise puts pressure on the veins. Pose Supported Shoulder - this position makes the whole body work against gravity, so it has several advantages. This method perfectly removes stress from the lower limbs and allows them to relax, while performing excellent work for the rest of the body. Pose The dog face down or Adho Mukha Shvanasana - is one of the best to improve blood circulation. With its help, a deep stretch in the hips and lower legs is obtained. With regular practice, it will be possible to notice how this posture helps reduce leg pain. Fish pose (Matsiasana) is considered one of the best poses in yoga for people with varicose veins, because it acts in several directions at once. This situation removes the state of stress in the body and cramps, and also allows you to stretch the lower limbs. Since this posture allows the legs to relax, the blood flow throughout the body becomes much more controlled and the load is relieved from the venous vessels. Pose of the boat (Paripurna Navasana) - The ratio of the height of the legs when performing this pose is incredible for relieving pressure from the veins. Raising the legs and holding them in this position can significantly help the circulatory system, which is great for weakened veins. In addition, it will be possible to strengthen the muscles of the legs. Bent candle posture (legs against the wall) is a very simple position and another great way to raise the legs, which will allow you to feel serious relief. It is enough to put the feet on the wall to increase blood circulation, as well as promote the removal of toxins from the body. In addition, it will be possible to remove serious stress from the legs, thus reducing the pressure that the affected vessels often experience. Pose of wind release (Pavanamuktasana) - by performing this pose, you can help the stagnant blood to move more actively throughout the body. Also in this position, the muscles and joints in the hips and knees, which are among the most dense in the human body, relax. In fact, this posture helps prevent deep vein thrombosis, so you can start practicing it today! Thus, by raising your legs during yoga, you can help your body more intensively send blood back to the heart, which is sometimes difficult if there is varicose veins. In addition, raising the legs helps to relieve pressure from the veins and, thus, help to improve the condition of the blood vessels. Can I make a bar for varicose veins? With varicose veins, all static exercises are contraindicated, which cause tension in the lower limbs, especially in the area of ​​the gastrocnemius muscles. The “classic” version of the plank is just one of these types of exercises, so its use for varicose veins is not recommended. But there are some modifications of the usual slats that can be used for varicose veins. Hands abut on the floor , and put his feet on a fitness ball. The feet hang on the other side of the ball and are parallel to the shins. At first, such a bar is done for 15 seconds. If the state of health allows, over time, you can increase the duration of the exercise. Dynamic “bar” is performed by cross-bringing the knees to the shoulders. In this case, jumps should not be performed in order not to injure the damaged veins. Side "bar ". To perform the exercise you need to lie on your side and rest your elbow on the floor. The lower leg, lying on the floor, while bent at the knee. This posture must be kept for 15 seconds, and then reversed. Can I jump with varicose veins? Most often, jumping rope, but such exercises can still be performed on a trampoline and other similar activities. Also, some zumba-type dances can be associated with jumps, and among sports fans with diseased venous vessels, the question arises, is it possible to jump with varicose veins? For reinsurance, many phlebologists recommend their patient to give up any jumps. In fact, not everything is so scary, if you approach the classes with understanding and without fanaticism. Jumping on a rope or even a home trampoline can be useful for varicose veins if they are performed easily, gently, often.You do not need to land on your feet with all your might. Otherwise, there is a high risk of injury. One training session should be short, no more than 5 minutes, so such jumps are well suited for warm-ups. For greater effect, you can take a cool shower after workout with a special focus on the lower limbs. It is also useful to apply to the skin a cream intended for the treatment of varicose veins. Going out with a rope and other devices necessary for performing jumps will be much more efficient and more favorable if the correct footwear is used. It should be designed for sports activities, have a cushioning sole and sufficient lightness for weight. Can I turn the hoop with varicose veins? To improve the waist and increase the elasticity of the skin in this area is often recommended hula hoop. This simple exercise can be performed if varicose veins are determined on the lower limbs, and you need to twist around the waist.In such cases, spinning the hoop on the legs is not recommended. It is also advisable not to engage for a long time, no more than 5 minutes in one session, or it will be necessary to wear compression knitwear, which is not always convenient. Video: What kind of sports can you do with varicose veins in the legs? Many men and women in different countries of the world are familiar with such a disease as varicose veins. The shorter name of this disease is varicose veins or simply varicose veins. A pronounced clinic can lead to disability, so it is extremely important that you begin treatment early as soon as possible. What is reticular varicose veins? 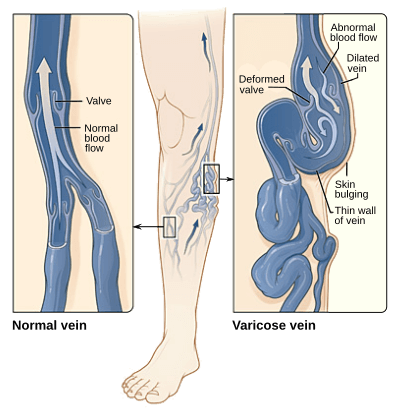 Varicose disease is a well-known pathological condition in which veins of various sizes are affected. 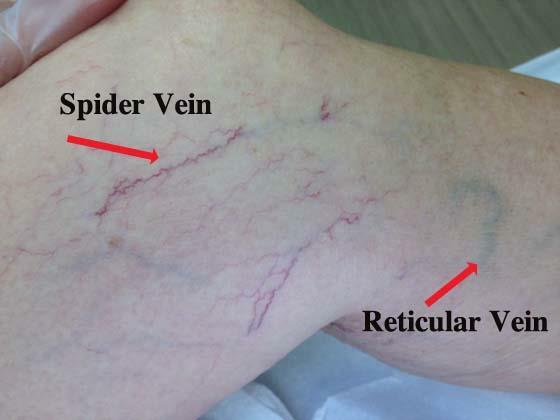 About reticular varicosity is said in the case when smaller veins, “feeding” large, appear on the skin. Most often, the disease is not dangerous, but it can lead to a number of complications, which in turn affect the general well-being of a person. Varicose veins involves compulsory treatment, because without it, the pathology only progresses and the person's condition worsens. 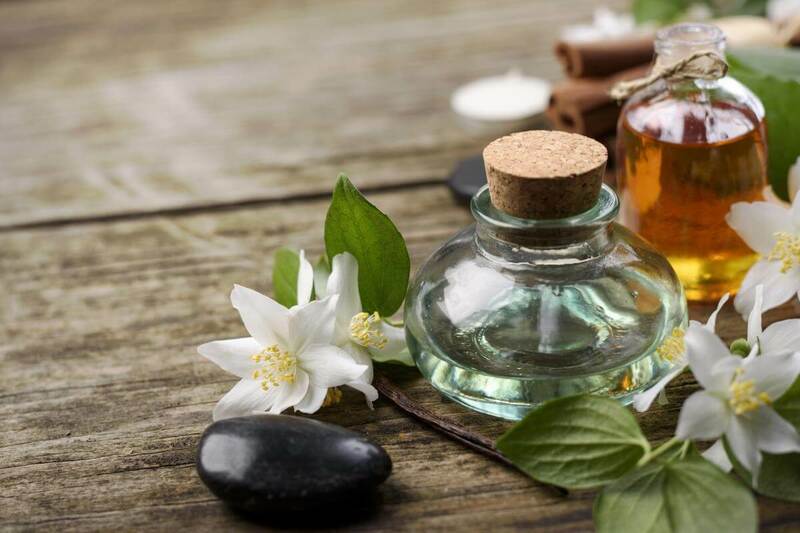 In case of uncomplicated course of the disease, folk remedies for the treatment of varicose veins can be used, which, if necessary, are prescribed in addition to drugs.